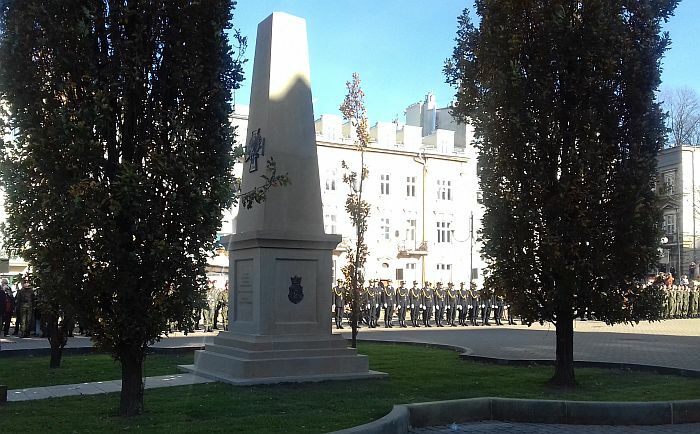 A Century of Regaining Independence On the thirty-first of October 1918 Cracow became an independent city. The representatives of Primary School number 39 took part in celebrations commemorating the day. The ceremony was honored by the president of Cracow, professor Jacek Majchrowski. He made us realize once again the value of freedom. Boy’s Day was a chance to have fun together and to integrate. Home-made cakes were served by girls from class 4A. The pupils, together with their mums, had prepared delicious sweets. 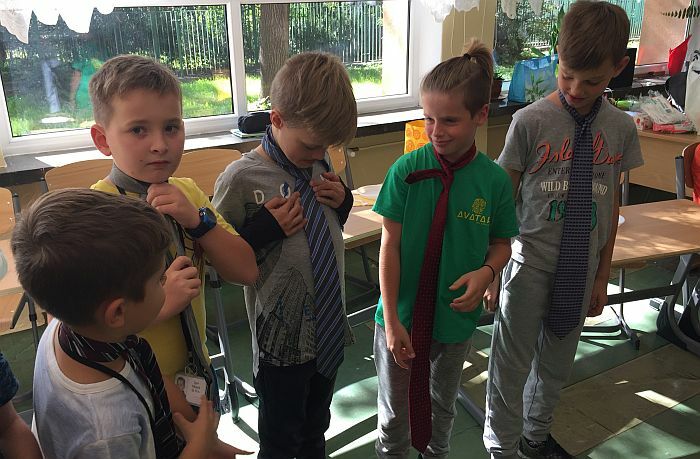 Boys did their best to learn how to wear a tie property. It was an unforgettable day. Smile every day, even when tere are clouds in the sky. Make all your wishes come true! Project "Stars". To school by bike. 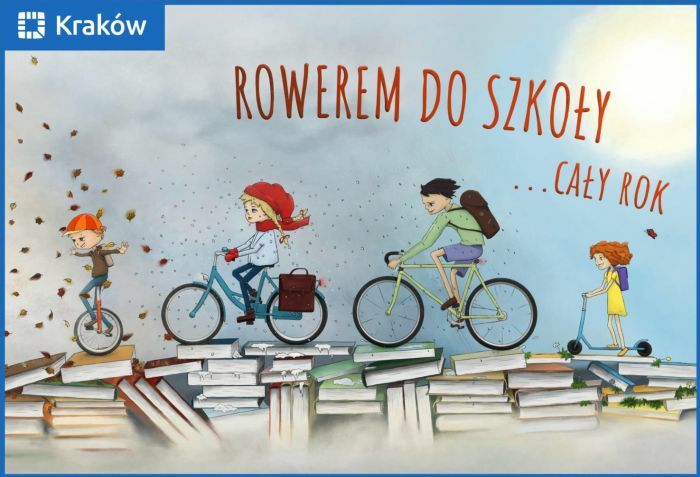 In the school year 2018/2019 thirty –six schools from Cracow take part in the project. Among them is our Primary School number 39. Teachers, students and parents are encouraged to get to school by bike. Thanks to that, the level of smog in our city will be lower, the traffic jams will not be an everyday nightmare and what’s more, we will be healthier. What is buzzing in the hive? Class IA in the bee yard. 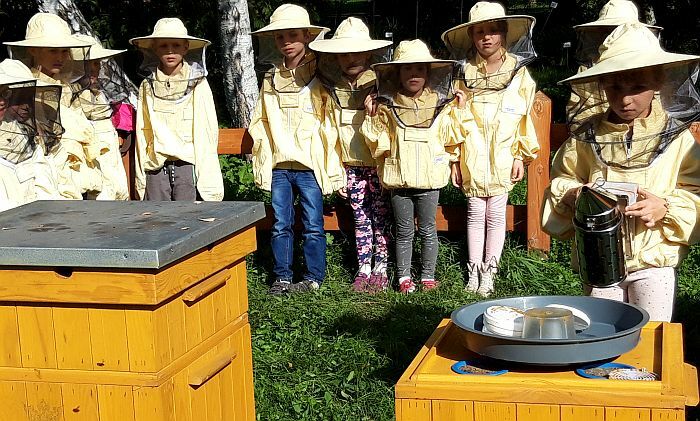 On the twentieth of September class IA took part in beekeeping workshops in the Botanic Garden in Cracow. The pupils tasted different kinds of honey. The hospitable bees led the children through their magic world. They showed them the honey storehouse, the way wax is produced, the bee nursery and the bee queen. Finally, all the pupils received certificates of young beekeepers and jars of honey. Are you interested in Gospel music? Do you like singing together with your parents and grandparents? If your answer is :”yes!”, you should join our school choir. The conductor of the choir is Ms Lea Kjeldsen. On the twenty – first of September the choir sang during the conference entitled „Mental Health and Resilience”. The conference took place at the Jagiellonian University in Cracow. 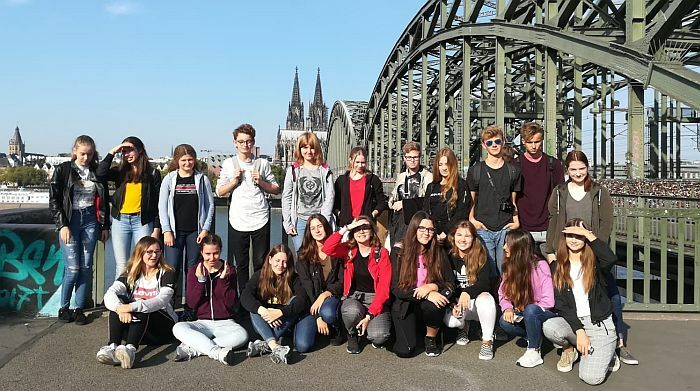 On the nineteenth of September class IA and IB took part in the first integration trip. The pupils went to the Magic House in Głogów. They had a lot of fun together. Looking for surprise presents hidden in the magic garden, trying to be the best at rolling barrels, taking part in broom racing, walking on the line were exciting and unforgettable experiences. 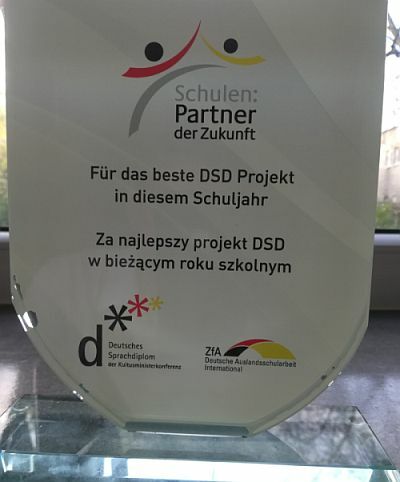 On the fifteenth of September a group of students took part in the Polish-German school exchange. The first meeting between the Polish and German students was held in the year 2013. Time goes by so fast! 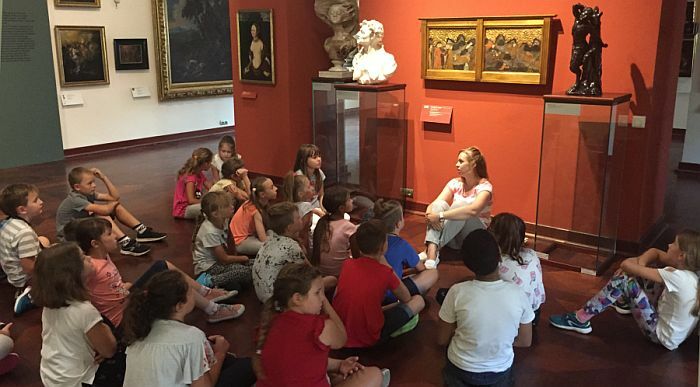 "A journey in time and space"
On the thirteenth of September class 4A took part in workshops in the Centre of European Culture „Europeum”. The pupils saw an exhibition and learned about some ancient gods and heroes. After a twenty –year break young pupils aged six and seven have come to Primary School number 39 again. On the third of September teachers, parents and students took part in a solemn school assembly. The headmistress of our school, Mrs. Iwona Janek greeted everyone and wished us a good, successful school year. She expressem her hope that our school will be a place of learning understood as a great adventure and a place of joy, friendship and unforgettable days. Witkacy with Zakopane in the background… 8.06 – 9.06. 2018. Diplomas, school prizes and words of praise. 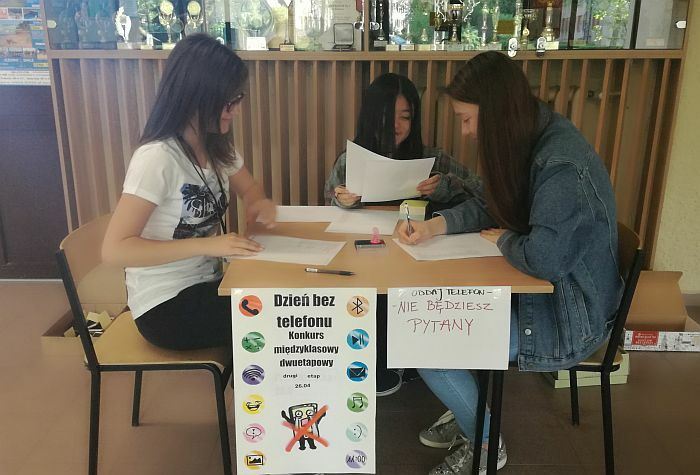 On the twenty- sixth of May the second part of the competition “ A Day without a Mobile Phone” took place in our school. The winners were students from class 3A. Was it easy not to be in touch with friends or parents for eight hours? The best DSD project! !!!! Hurray! Congratulations! 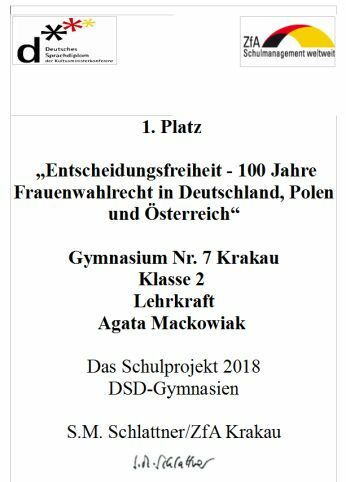 Students from our school have beaten twenty-three groups from other secondary schools in Krakow taking part in the contest, which was organized to celebrate the hundredth anniversary of women’s voting rights in Germany, Austria and Poland. Our students have prepared the best project about equal rights for women and men. Do you know who is described in the project as the most courageous, the most hard-working, the smartest and the most beautiful? The students’ moms!!! This year’s spring has arrived quite late. The crocuses in front of our school have blossomed. They are associated with the yellow Star of David, which was worn by Jewish people in countries occupied by the Nazi soldiers during the world war the second. The tiny, yellow flowers not only remind us of all the innocent Jewish men, women and children who were murdered during the war, but also about new life and new hope. Twenty –nine students from our school have visited London, Cambridge and Canterbury. They were on workshops in England. The best test of their language skills was the fact that for five days they were staying with English families. The school trip to England was an unforgettable adventure: friendly, charming teachers and guides, breath-taking sights, unforgettable views, perfect English spoken by native speakers, a different cuisine and the cheerful English spring with golden daffodils in the parks and gardens. Test your knowledge about Great Britain! On the eleventh of November Polish people celebrated the independence of their country. Poland became free again in 1918, after 123 years in captivity. The students from Primary School number 39 and children from the kindergarten number 124 spent a festive evening together. They recited poems and sang songs about the times of fight for independence. 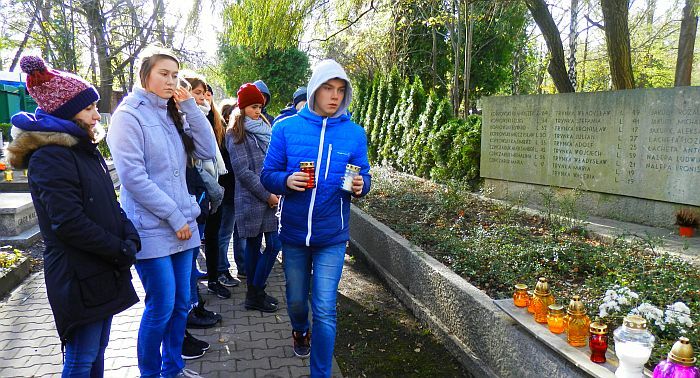 Just before All Saints Day the students visited the cemetery in Krakow, where seventy-nine victims of the Nazi murder from January 1945 are buried. They were women, men and children, the inhabitants of Dąbie – the district of Krakow, where Primary School number 39 is located. The students lit candles on the graves and prayed for the souls of the people. On the 13th of October we celebrated “ National Education Day”, commonly called “Teacher Day”. The student government of Primary School no 39 and Secondary School no 7 prepared a festive school appeal. The students expressed their good wishes for teachers. There were reflections on education and everyday hard work at school. On this special day, the first students from Primary School no 39 were warmly greeted by their older schoolmates and the student government. The teachers received handmade souvenirs and enjoyed a hilarious parody of their typical behaviour during lessons and meetings with students. They couldn’t stop laughing. The show was first-rate. Finally, the students thanked their teachers for everything they do for them, for words of praise and criticism, which help teenagers become good students and better human beings. On the seventh of October 2017 the thirteenth Autumn Festival took place in our school. The main organizer of the festival was Tomasz Szczepanik – the teacher of history. Till the last minute before the beginning of the festival the weather was extremely whimsical. It rained a lot and we doubted if the venture would be successful. Thanks to Mr Szczepanik’s unwavering faith and optimism, even one drop of rain hadn’t fallen since the beginning of the festival at one p.m. till the end, at about five p.m. The headmistress of Primary School number 39 and Secondary School number 7, Mrs Iwona Janek, welcomed all the guests: parents, teachers and students. Then, the celebration started. 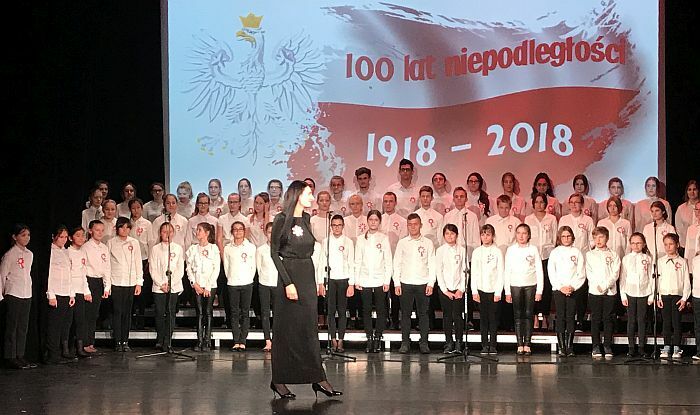 We enjoyed listening to the school choir choreographed by its conductor: Ms Karolina Stasiowska.We admired songs from all over the world performed by adult artists and we couldn’t take our eyes off young ballet dancers from the Ballet School which has existed in Primary School number 39 since August 2017.There was a lot of music, dance, laughter, delicious cakes, hot tea and coffee, traditional grilled sausages and hunter’s soup. There were also various kinds of competitions.We had a lot of fun together. Time flew very swiftly and when the clock struck five, we were surprised that it was high time to go home. We will be looking forward to the next Autumn Festival 2018. The school year 2017/2018 has begun. 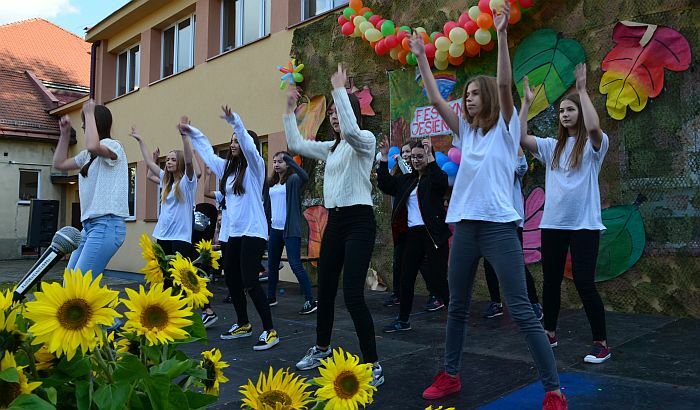 On the fourth of September students and teachers said ”good bye” to summer holidays. On Monday we began the school year in a new reality. As a result of the reform of education in Poland the Junior Secondary School number seven has been transformed into Primary School number 39. 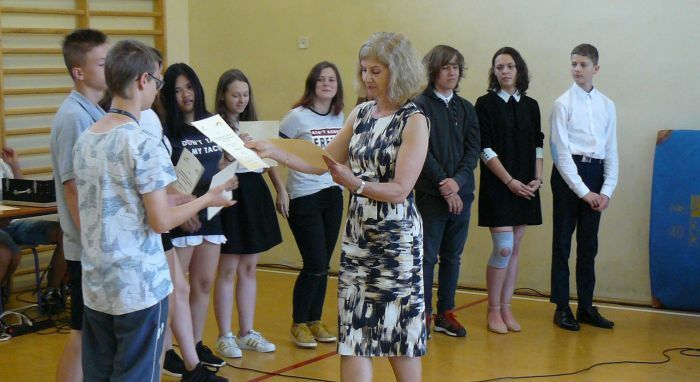 The previous head teacher of the school – Anna Marona and the present head teacher – Iwona Janek, have been very successful at encouraging both students and teachers to do their best. The school has earned the trust of parents and the admiration of the City Council.